Our reconditioned 20 lb CO2 cylinder with steel body, handle, and high-quality CGA320 carbon dioxide valve delivers new cylinder performance at a fraction of the price. 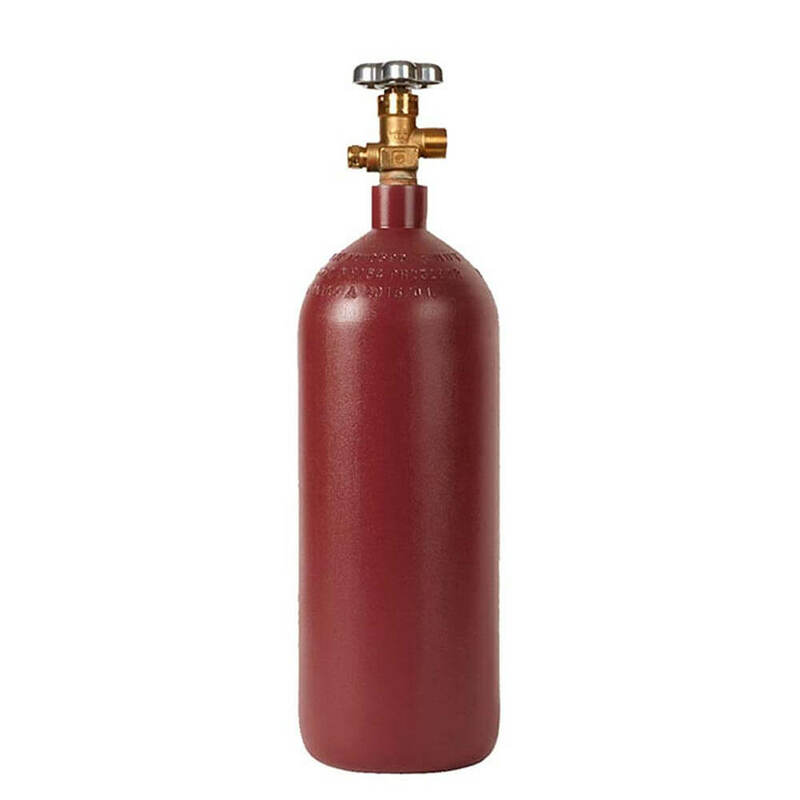 This is one of the most popular cylinder sizes available, with the perfect capacity for an almost endless variety of uses, including beverage delivery, industrial, aquarium, growing, and many other uses. We refurbish every 20 lb CO2 cylinder to the highest standards, including tough rust-stop exterior paint and full hydro testing. Please note that we receive cylinder bodies from a variety of original manufacturers. The body sizes and dimensions may be different: the measurements here are typical for the cylinder, but there may be differences in height and diameter.